Research shows that under-performers are having a significant impact on your business’s bottom line. But if you can establish which individuals are under-performing, and where they can improve, you’ll be able to create a solid platform for business performance improvement and organisational growth. 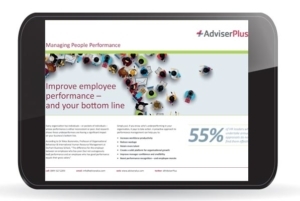 Download our guide to find out how proactively managing people performance you can increase workforce productivity, improve manager confidence and credibility, and importantly deliver an annual ROI of up to £3,930 per employee through proactive performance management. Please fill in your details to download the guide. How HR can prepare for Brexit?